The photographers presented in this section share a fascination with history, including early photographic techniques. With the growing popularity of digital photography, numerous artists, including Matthew Brandt, Chuck Close, Binh Danh, Adam Fuss, Myra Greene, David Maisel, Sally Mann, and Carrie Mae Weems, look to the past, resurrecting older, often 19th-century photographic processes and imagery. Far from antiquarian revivalists, these artists draw on our collective knowledge of visual and cultural history, and even our associations with antique printing techniques, as a way of employing the past to shape their present work. 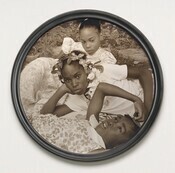 Some make daguerreotype or ambrotype portraits, as did their 19th-century predecessors; yet they do so with a self-conscious, critical scrutiny, often posing questions about how photography has influenced understandings of identity and race. Others photograph the landscape to examine not national character, like many earlier practitioners, but personal experiences, inverting our expectations to make us reflect on how the past affects our present lives. Best known for photographs of her family, Mann began to make self-portraits after a severe horseback-riding accident in 2006. Determined to work but unable to lift her heavy camera, she set it up in one position and photographed herself repeatedly using the 19th-century ambrotype process. 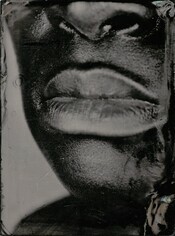 Ambrotypes are collodion negatives that are made either on clear glass placed against a dark background to make the image appear positive, or, as Mann has done, on black glass. While earlier photographers prized the fine detail of collodion negatives and worked diligently to pour the sticky substance on the glass smoothly without bubbles, streaks, or drips, Mann exploits these blemishes. Allowing the physical surface of the glass plates to convey a sense of disintegration and loss, Mann seems to confront her own physical dissolution in this work. 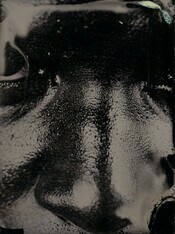 From its inception, photography has been used as a tool for ethnography, often in support of pseudoscientific theories of racial classification. 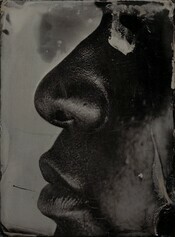 Greene, using the 19th-century ambrotype process, alludes to photography's historical role in teaching people to see African Americans not as individuals but as racial types. 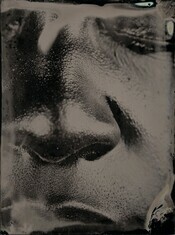 "Do we recognize character just by looking at the shape of a nose or the color of skin?" she asks. 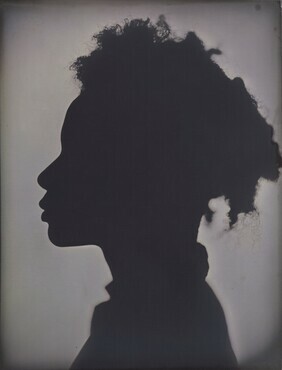 In each of these works, Greene presents a fragment of her own face and manipulates the tone of the photographs to explore the metaphorical significance of blackness. 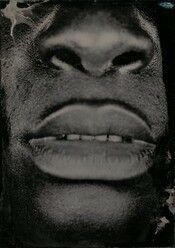 While some of the images are reminiscent of conventional ethnographic documentation, others present such extreme close-ups that they render the subject nearly abstract; still more capture expressive, individualistic gestures that defy generalization. In the haunting series History’s Shadow, Maisel photographed x-rays of sculptures in the J. Paul Getty Museum in Los Angeles. He placed each x-ray on a light box and photographed it using a long exposure. He then scanned the new negative to make a digital file, which he further manipulated to create pictures that appear at turns both ghostly and alive. Revealing “the shape-shifting nature of time itself,” as Maisel says, his photographs capture both the internal structure and the external details of the original sculptures, showing their past history and present state. Fuss' daguerreotypes, some of the largest ever made, underscore how objects evoke memories and signal the passage of time. He created For Allegra by scanning and then digitally manipulating three 1864 negatives by John Murray of the Taj Mahal, the 17th-century memorial in Agra, India, built by Mughal emperor Shah Jahan in honor of his wife. In the 19th century, a daguerreotypist would have considered the work's blue color—the result of overexposure—a defect; Fuss sees it as emblematic of sadness and a sense of loss. After fleeing Vietnam with his family at age two, Danh settled in California, but never visited Yosemite National Park as a child. His family’s escape through Southeast Asian jungles and experiences in refugee camps ruled out vacations to the wilderness. 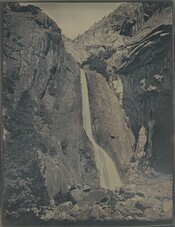 As a result, Danh’s initial connection to Yosemite was through the celebrated photographs of Ansel Adams (1902–1984) and Carleton Watkins (1829–1916). 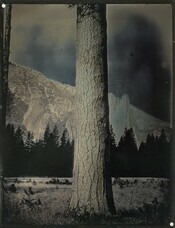 In 2011, Danh visited the park and made a series of daguerreotypes that brings a reflectivity to the scene, both literally and metaphorically. Stepping before the mirrorlike photographs, viewers may glimpse their own image in the midst of one of America’s national treasures, allowing anyone to see him- or herself within this iconic landscape. Brandt explores the early history of photography by making salted paper prints, a process popular in the 1840s and 1850s that produces photographs with a matte surface and diffuse details. To create this print, he soaked drawing paper in water collected from California’s Salton Sea, allowing the impurities in the water to affect the tonality and texture of the piece. Incorporating physical elements of what he photographs directly into his prints, Brandt remarked that “it was a way to literally . 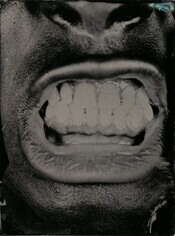 . . use the thing to represent the thing,” blurring the line between the photograph and its subject.